lawn gnomes can’t be trusted during night runs. the deluxe combo enchilada platter at El Sol is not the best carbo loading meal. never try to outkick a chick wearing a tutu. and yet, i never seem to remember any of these. if i ever get a tattoo, it will be “never try to outkick a chick wearing a tutu.” and maybe patrick and spongebob in tighty whities. since i’d already be there and everything, you know. but i digress. i felt a little better today, in that monty python “bring out your dead” kinda way. it was way too hot to pretend running and i’m still low ebbing, so i mostly strolled. i’m trying to get the sidle down to sub-15 pace. so far, so good. i was about 6 miles into it when i saw her. she was about 100 yards ahead of me. sort of running, but mostly stop and start. the perfect target for finishing my run. i inhaled deeply and broke into high gear. she was going to be toast. i began to rapidly close the gap. she saw a dog up ahead and broke into a dead sprint, a blur of tulle and sequins as she flashed what appeared to be some sort of gang sign at me without ever looking back. i never had a chance. and then just as suddenly, she stopped, allowing me to pass her. but we both knew. i was no match. i called it a day after 6.5, my spirit broken. dr. sheehan said the race isn’t against the other runners; it’s against the little voice in your head that wants you to quit. 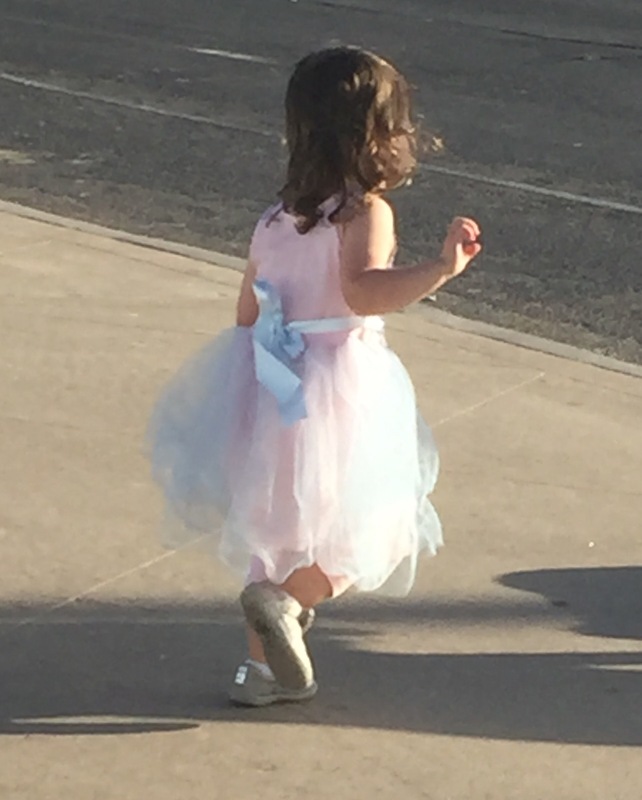 but what happens when the little voice wants you to beat the other runners in tutus? sadly, dr. sheehan is no longer with us. i’ll never know the answer.